This canoe-kayak ride on the water is pleasant and accessible to all. The canoe is the queen-boat to discover the Loire or the Louet at its own pace. You will be able to take the time to observe the fauna, the flora and our exceptional marine and fluvial heritage. The activity lasts about 2 hours according to your rhythm. Meet at our base, the Chalet d'Accueil Loire and Louet Passion, on the Quai des Mariniers in Montjean-sur-Loire, next to the Montjean bridge and the passenger boat pier. We will embark you in our minibus with paddles, vests, watertight cans and route maps and bring you to your departure site in Chalonnes-sur-Loire. You can descend by canoe over the water to the base. Have a minimum of 8 years and know how to swim at least 25 meters. Possibly provide a towel and a change of clothes. Before leaving, do not forget to provide water, a snack, a windbreaker or sunscreen depending on the weather, and put shoes that fit the feet. 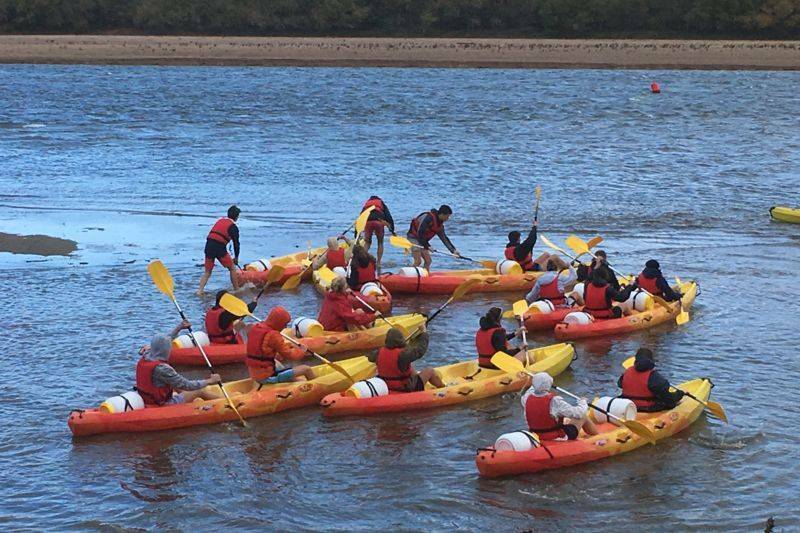 Our canoes are selected for their maximum safety and are suitable for beginners. * Single-seater boat: + 6 euros excluding odd group. We are at your disposal for any advice regarding your stay.